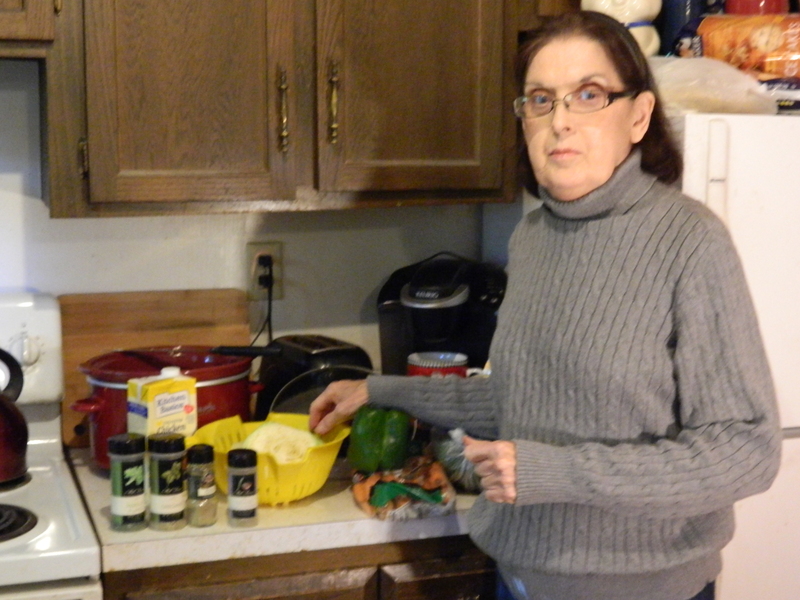 Her daughter Candy’s no-salt, crockpot simmered, fresh vegetable soup has been added to Mom’s Recipe Box. Soup is the ultimate comfort food. Unfortunately, most store-bought or restaurant soups are loaded with sodium. 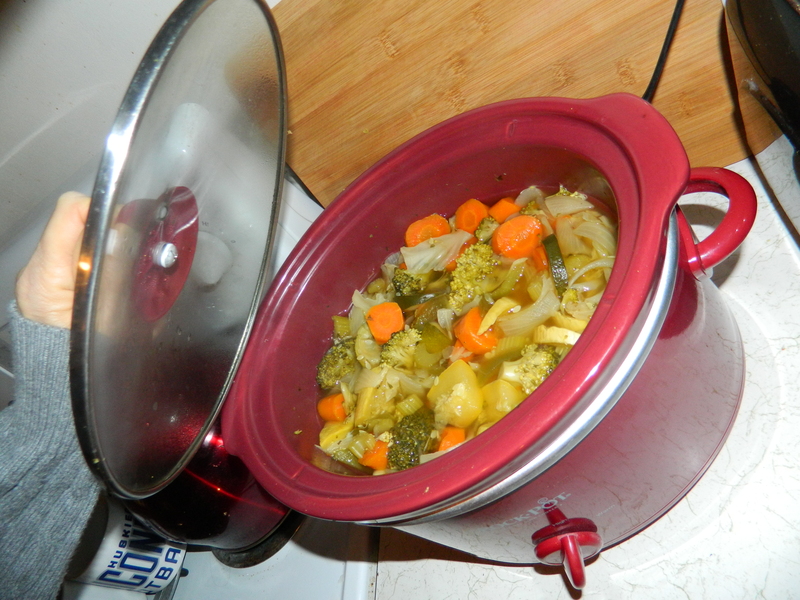 In an effort to still be able to partake of one of the most enjoyable of all food selections but in a healthier way, my sister Candy decided to experiment and create her own no-salt, crockpot simmered, fresh vegetable soup. 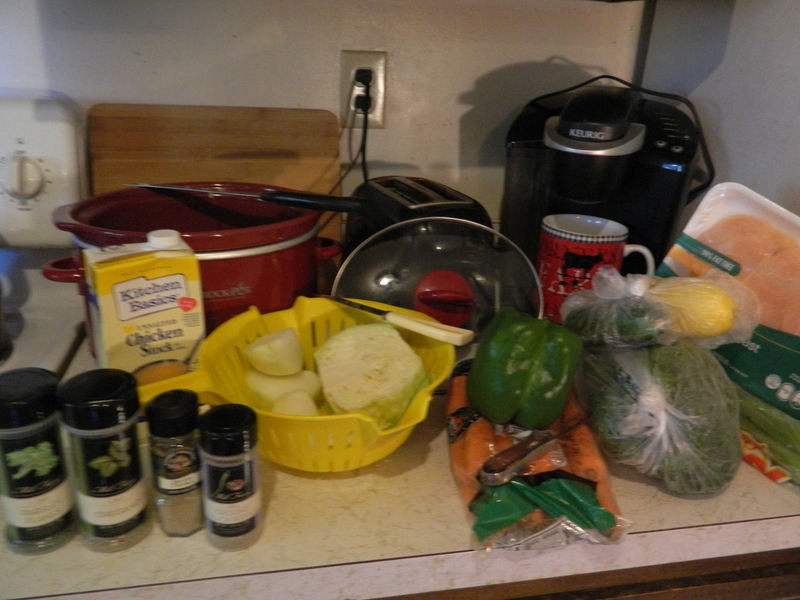 She found Swanson’s no-salt broth at the Stop & Shop supermarket, then picked out fresh cabbage, carrots, zucchini, yellow squash, celery, broccoli, onions, and green pepper. From there it was a matter of peeling and chopping. Homemade soup can pretty much be flavored with whatever seasonings are desired. Candy chose pepper, oregano, parsley and thyme, using a light touch with each one. The soup was simmered on high for six hours then reduced to low before serving. 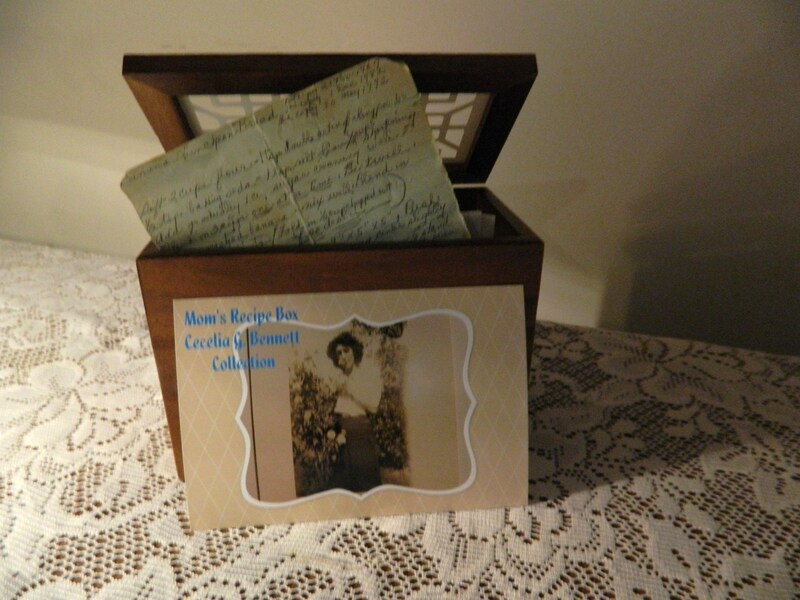 Look for Mom’s Recipe Box occasionally as I continue to add to and celebrate my mother’s collection of recipes – the Cecelia G.Bennett Collection. Soup is a favorite comfort food in this house. I’ll have to give this recipe a try. A great way to incorporate healthy vegetables and have something yummy! Thanks for sharing Candy.